If I have to grow one particular shrub that does not require hours of labor work while still having blooms that are pleasing to my eyes, then I would probably go for hydrangea. Yes, a hydrangea plant can bear such an immense flower head, even though this shrub is among the easiest ones to grow. A pompom-like bloom of hydrangea consists of a series of little star-shaped flowers that grow along wooden stalks. Not only is the flower beautiful, but it is also famous for its versatility. Planting hydrangea plants in your garden will surely add some texture to it. You can also use them as cut flowers that last like forever. Their charms do not lay only on their appearance and versatility only. In fact, hydrangeas’ beauty and versatility are signified by hydrangea meanings. Hydrangeas can speak certain messages through meanings and symbolism they carry. Knowing hydrangea meanings is especially handy when it comes to using them on many different occasions and purposes. 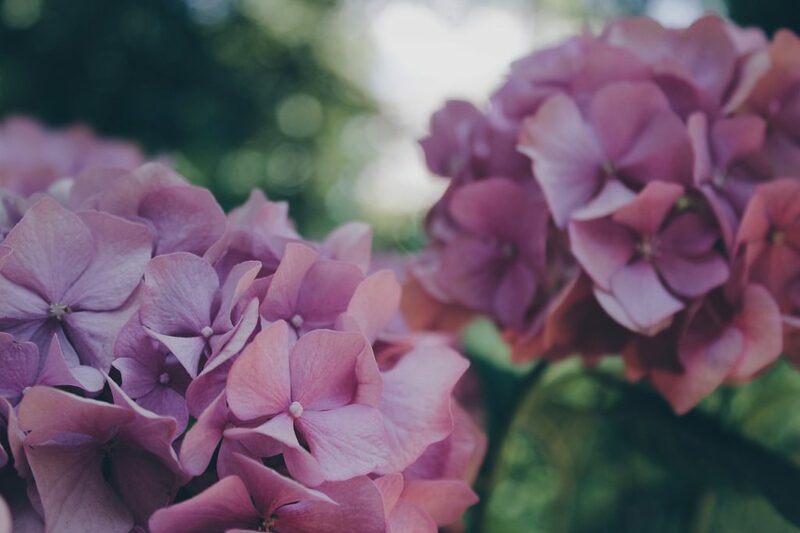 According to Greek Mythology, the name hydrangea is derived from the word hydor and angos. Hydor means water, while angos means jar or vessel. Combining the two words, hydrangea can be roughly translated as ‘water barrel’. This name was given to hydrangea plants due to the fact that they depend so much on water. Besides, their appearance that resembles a vessel also contributed to naming these flowers so. Hydrangeas are often claimed to be indigenous to Asia. Being highly significant in Japan throughout history, it is believed that these plants are originated from there. However, the oldest hydrangea fossils were in fact found in North America. Hydrangea entered Europe in the 18th century when a colonist brought the plants from North America to England. These shrubs and their flowers have been used for landscaping, as they did not belong to any edible flower varieties. However, many Buddhist have been drinking the Hydrangea serrate for centuries as a part of their spiritual cleansing ritual. Hydrangea blooms are characterized by a group of star-shaped petals that blossom from wooden stems. Hydrangea colors range from white, blue, pink, purple, etc. These colors are highly affected by the acidity of the soil. This type of hydrangea is identified by globe-shaped flower clusters. Panicle hydrangeas do not have ball-shaped clusters, but slightly elongated tips, somewhat cone-shaped flower clusters. Less voluminous compared to the other two types, the lacecap hydrangeas have flattened clusters. These clusters consist of multiple small, immature buds surrounded at the edges of the blooms. Each of these hydrangea’s types has multiple numbers of varieties. 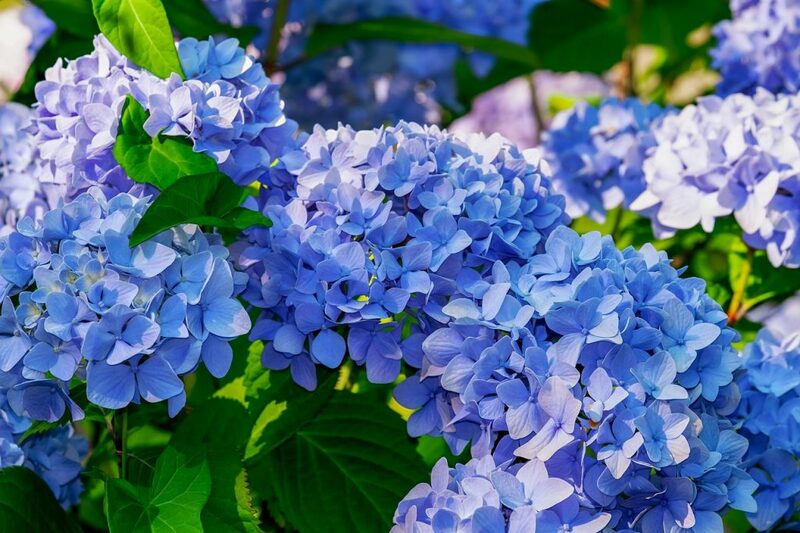 Some of the most popular varieties include Bigleaf Hydrangea, Endless Summer, Garden Hydrangea, Oakleaf Hydrangea, Snow Queen, Peegee Hydrangea, Smooth Hydrangea, and Climbing Hydrangea. There are many hidden meanings of ‘Grandmother’s old-time flowers’. 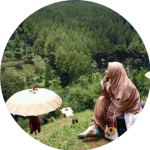 The meanings are especially rooted in various cultural belief and stories, where the flowers are cultivated. In Japan, hydrangea meanings are closely linked to gratitude, understanding and apology. This is inspired by a story of a Japanese emperor who gave hydrangea flowers to the family of the woman he liked. He did so in order to show how much he loved her. The common hydrangea meanings are mostly associated with boastfulness. The flowers, which could bear such an immense flower, are the reason why these flowers mean so. Following this meaning are the Victorians who often refer to hydrangeas as negative plants. They also believe that hydrangea carries the meaning of boastfulness, bragging and vanity. A further dig on the hydrangea symbolisms often leads to debatable opinions of what these flowers actually represent. Those who believe that hydrangea flowers represent boastfulness and vanity often get the idea by comparing the abundance and lavish appearance of hydrangeas’ rounded shape blooms. Meanwhile, there is another group that believes hydrangeas to symbolize gratefulness and heartfelt apology. Again, it is mostly associated with the overwhelming shapes and sizes of the plants’ blooms. Giving hydrangea flowers to other people should especially pay attention to the blooms’ colors. One particular color could represent certain meanings you want the recipients to be able to relate to. Pink hydrangeas symbolize love, sincerity and heartfelt emotion. You should definitely consider giving pink hydrangeas if you try to show your seriousness. Blue hydrangeas, on the other hand, carry the meaning of frigidity and apology. 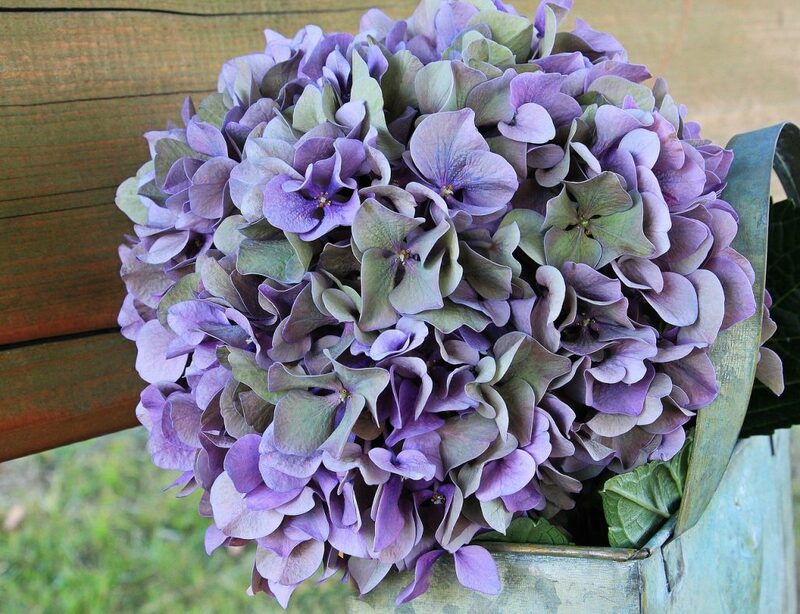 If you want to ask for forgiveness, you can definitely give blue hydrangea. While the white hydrangeas signify purity, grace, abundance and bragging, the purple hydrangeas symbolize wealth and royalty. Hydrangea blooms are exceptionally pretty garden decorations. These flowers never fail to add some structure to any bouquet too. Rather than using them as cut flowers, there are other hydrangea flowers uses you should know. Aforementioned, many Buddhists drink hydrangea tea regardless of the plants’ possible poisonous threat. The leaves of hydrangea are poisonous as they contain cyanogenic glycosides. Give up with the leaves, you should start paying attention to the roots. Hydrangeas roots have been used for medicinal purposes for years. They can be used as antioxidant agents as well as medicine for kidney problems. Native Americans traditionally used the hydrangea roots for relieving muscle pain and burns. 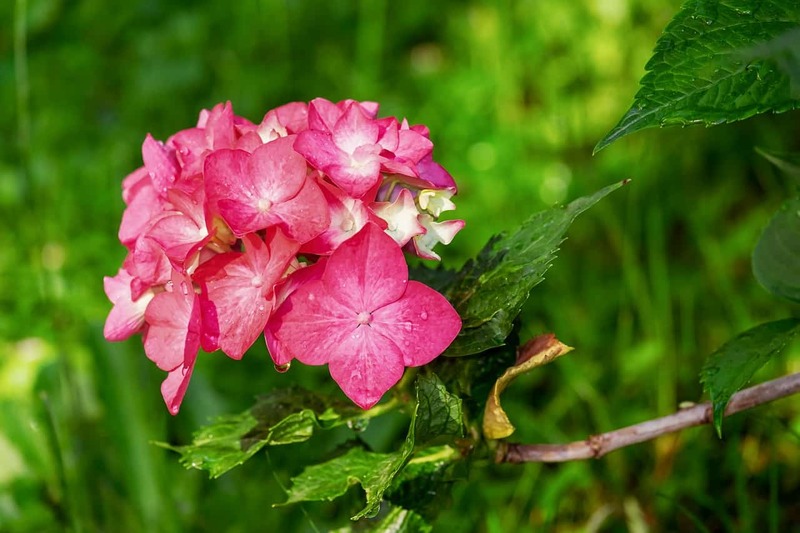 After knowing the meaning of hydrangea, the plants’ interesting facts should catch your curiosity. Will be presented here are several interesting facts about these glorious blooms. Related to the plants’ diversity, it is reported that eastern Asia countries such as Japan, China and Korea own the most diverse hydrangea varieties. 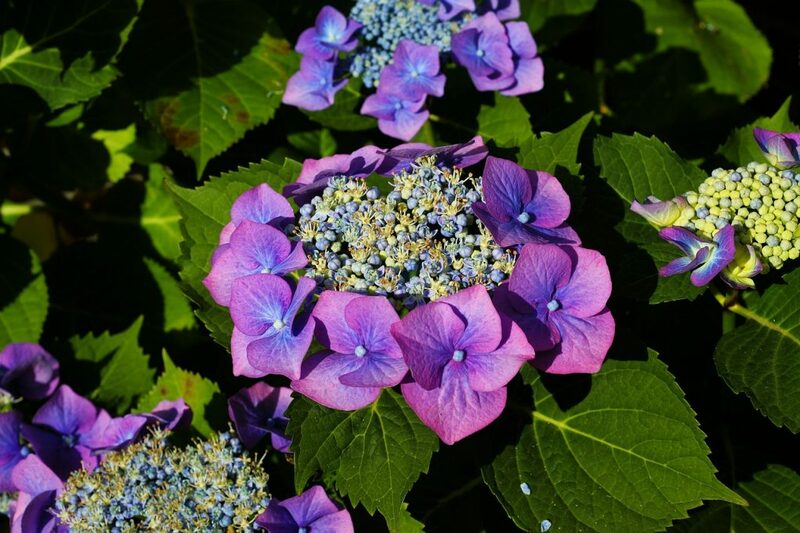 You can cheat your hydrangea blooms’ colors by manipulating the soil acidity. Magically turn your pink hydrangeas into blue hydrangeas by either adding coffee grounds, citrus peels or crushed eggshells. The fact that these plants love water often misleads cultivators to overwater the flowers. Too much water can gradually kill your plants. Some early signs of overwatering include wilting and yellowing leaves, falling off leaves and dwarf-y looking plants. Hydrangea flowers are used to celebrate the fourth wedding anniversary, as they symbolize appreciation and genuine emotion.